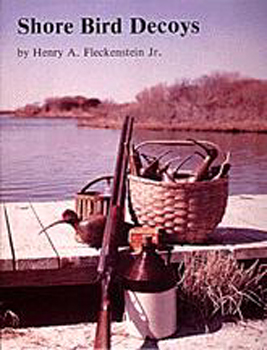 The first book of its kind in the decoy field, this photographic essay deals exclusively with antique shorebird decoys. Its comprehensive coverage of the Atlantic Seaboard will answer the need for a long-awaited work in this area. Bird decoys have been touched upon lightly in the past, but this fully illustrated volume will provide a studied reference guide for the serious student as well as a beautifully rendered artistic approach for those interested in the aesthetics of the decoy. Mr. Fleckenstein has drawn from the knowledge and resources of some of the most respected collections to prepare this book. Caption information identifies many makers, their locale, and individual characteristics employed in the carving of the birds. This book will be a useful, interesting, and appealing tool to add to the library of anyone concerned with the history of wild fowling.